Bowring Canada and Bombay & Co., Inc have declared insolvency and obtained protection from creditors. They had previously filed for creditor protection and restructured in August 2015. After the 2015 restructuring, they closed 50 stores and laid off 164 employees. Currently there are 43 Bombay & Co stores and 38 Bowring Stores. Fluid Brands, the parent company of both retailers, is currently about $50 million in debt. In the insolvency phase, the companies may restructure or simply start closing stores. Websites for both Bombay and Bowring have been stripped of content. That place was ridiculously expensive. Wow, you hate them so much you had to post and whine about your own deal. I have never purchased an item from Bombay that hasn't broken. What have you purchased from them? Did you buy decorative knick knacks? functional knick knacks? furniture? My mom's gotten a few decorative things from them at most, I don't really recall what happened to them though. To me they were too exotic for my tastes. They wanted to make it look like someone travelled to india or eastern asia and brought stuff home. They wanted to make it look like someone travelled to india or eastern asia and brought stuff home. "The Bombay Company was founded in 1978 by Brad Harper in New Orleans as a mail-order company and Greg McGroarty was allocated the Canadian operations by his good friend Brad Harper. Harper later opened two retail stores in New Orleans. In 1980, Harper sold the U.S. operating rights and established overseas supply channels to the Fort Worth, Texas-based holding company Tandy Brands, Inc., which is publicly traded on NASDAQ. In 1981, Tandy Brands purchased the Canadian rights from Robert Nourse, though Nourse continued to manage the Canadian operations. In 1983, Nourse moved to the United States and assumed responsibility for retail operations. The Bombay Company filed for Chapter 11 bankruptcy protection on September 20, 2007. The company was sold to Gordon Brothers and Hilco, two liquidation companies who sold off the remaining inventory. As of January 21, 2008, all U.S. retail stores were liquidated and closed. In February 2008, Hilco, and Gordon Brothers purchased all intellectual capital of the Bombay Company, including the Bombay Company website, and created Bombay Brands, a company that will sell Bombay merchandise through other retail outfits. Some Bombay Original merchandise can be seen at Value City Furniture. In September 2010, approximately a dozen pieces of Bombay merchandise have also been made available for purchase in the U.S. through QVC and QVC.COM. Bombay's Canadian operations were purchased by the B&C Group, which operates the Benix and Bowring retail banners in Canada. Bombay Canada is now owned by Fluid Brands Inc. Toronto based retail mogul Fred Benitah owner of Fluid Brands Inc. also owns Bowring Brothers, Canadian home decor retail chain. In December 2009, William S. Hollands was named chief merchant overseeing the Bombay Company operating unit, which manages the U.S. licensing agreement with Bombay Brands LLC, during its re-emergence as a retail brand in the United States. In 2011, Bombay was purchased by Hermes-Otto International, a subsidiary of Otto. 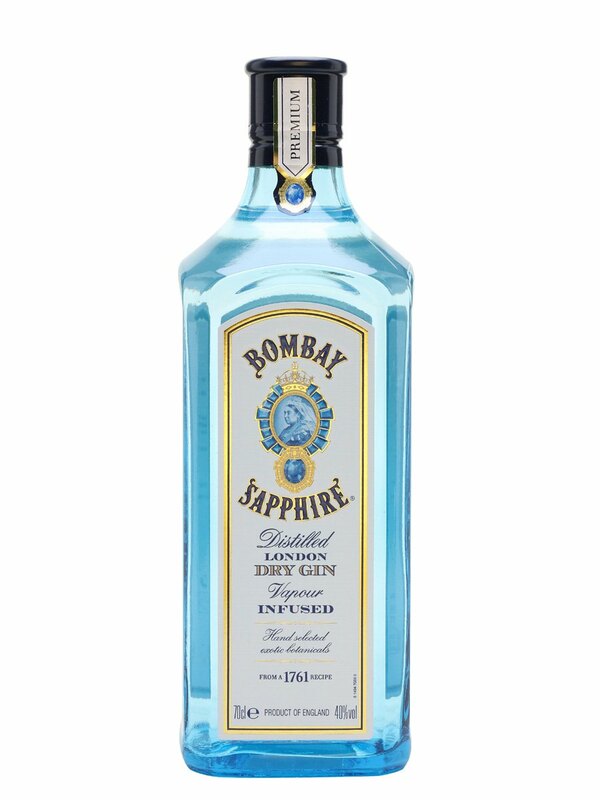 As of November 2nd 2018, Bombay has declared Bankruptcy and will begin the Liquidation process starting 5th November with The Gordon Brothers." If that matters, this thread was on Hot Deals. Just mentioned that would be better if OP followed Hot Deals best practices with better description and provide links. Good riddance! Pier One is hopefully next! what site is it? can anyone provide link? going to www.bombay.ca just loads the logo in the center, nothing else appears. I remember Bombay Company back in the late '80s/early '90s. Stuff was nice quality and expensive, IIRC. Over time, u see how brands change after they go bankrupt, bought out, rebranded, etc. Look, if you're interesting in something, mention my name or look for me near the back (I'm the one the gold shirt) and say the password "redflag" and I'll hook you up. I'd never buy interior design pieces off Alibaba sight unseen. It's basically asking for disappointment. I can't say I have bought much from Bombay Co, but I will say I certainly am not celebrating their bankruptcy. Hope this is really the end of it. That s always disorganized, and expensive..
A lot of their product are out of style.. Finally the Bombay company is biting the dust. They have sold overpriced poorly made products for years. Thanks to Alibaba people have cut out the middle man while purchasing poorly made knickknacks. Either way the crappy sale of 20-40 percent off is on. Meaning the slightly less crappy sale of 30-40 will start in a few weeks. I have never purchased an item from Bombay that hasn't broken. I think sites like Wayfair killed these companies because they don't have as much overhead costs to pay managers and store rentals etc. Yeah, well your epidermis is showing. I opened it up. %100 polyester. Give me a break. Garbage. Anybody who knows quality would never sleep in polyester sheets, let alone pay 400 bucks for them. You're right, Wayfair is a better example than Alibaba. The problem is the quality. They are selling crappy Wayfair quality stuff and selling it like it's high end. Other stores like Stuctube / Ikea manage to sell decent quality for much less and still turn a profit. Bombay is more like Pier 1. Although I feel like the Pier 1 quality sort of justifies the price - but not really. How come such a dumb comment gets 4 thumbs up - oh... right, Bombay company must have employees. Actually I posted this first thing in the morning and I searched through hot deals first. It wasn't posted yet. Not sure why it says 5pm. Also what better description do you need. Bombay Company going out of business. 20-40 percent off. There is no link. It's a statement of fact. It is not a site! It is a chain of stores. I went in and they said all of them were closing. There is no link. I took a photo and the resolution on my phone is too high to upload to RFD. I didn't care enough to waste time resizing it. But what’s the point of criticizing those that do, or have ? We've never even been into one of their store, checked online or spent a cent there. Stopped into a Bowrings location in Ottawa today and there was a note posted on the door that said " last day to use gifts or money cards is December 8th 2018 due to bankruptcy". So if you have a card use it as soon as possible or it'll be worthless. I happen to have a store credit on a money card so I used it today. All stores are closing. Very little Christmas merchandise as suppliers did not ship due to credit protection I was told. This was always a good retailer to go in to get you in the mood for decorating your house for Christmas. Don't quite get the same feeling shopping online. All merchandise is 20% off or more. Staff was very down, many of them have worked there for years. Kind of made me sad. Perhaps some people realize decorum is not a tall request. I believe Bowring/Bomabay is now in the hands of Hilco. Today, Bowring's liquidation sale hit 40% off, earlier this week it was 30% off. The lineup was pretty long in the store I was in. This is what, the third time Bombay has gone through a "going out of business" sale? Went to both Bombay and Bowring in Langley. Bowring was picked pretty clean. Bombay still had a fair bit of stuff but nothing that myself or the wife cared for. All feels like pseudo-quality stuff (particle board covered with leather, that kind of stuff).